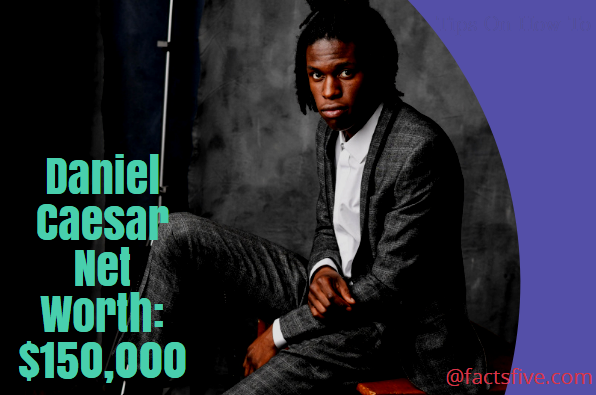 Daniel Caesar is a Canadian R&B singer and songwriter. Caesar is best known for being a do-it-yourself artist having first garnered attention by working independently to produce Extended Plays like Praise Break and Pilgrim’s Paradise. Caesar has built an amazing personal brand which fans throughout the world are seeming to love. The Toronto based singer has shined this year and is up there with the biggest names in the music industry today. 5 5.President Obama put Caesar’s “Blessed” on his personal playlist. The tour is currently very successful with almost all of his performances being sold out through the world. He has been touring the U.S., Europe, and is set to perform in Asia as well. We have made a conservative estimation of his net worth which seems sure to increase exponentially in the coming days if he can continue providing such viral sensations. Daniel Caesar’s actual name is Ashton Simmonds. He was born on April 5, 1995, in Oshawa, Ontario, a working class city. He started singing as a kid back in Seventh day Adventist churches alongside his three brothers. He used to attend a private Christian school but was eventually kicked on cases of marijuana related activities. Because of these reasons, Simmonds would have to move to Toronto and start over. Caesar started off back in 2014 with his Extended Play called “Praise Break”. This EP would go on to be ranked at number 19 in the “20 Best R&B Albums of 2014” by honorable site Rolling Stones. His work is back by religion and is very passionate about the topic as well as it correlates with his upbringing. The fan base that he has developed which is so crucial to his success is because he invests a lot of time and resources into it. Throughout last year, he performed at every major Late Night show possible including The Late Show With Stephen Colbert and Late Night With Seth Meyers. Such consistency and hard labors fruits seem to have started reaping for Caesar. His debut album titled Freudian has been a big breakthrough into the international scene. The studio album eventually went on to get 2 nominations at the Grammys. One for Best R&B album and another for best R&B performance for the hit album single “Get You”. This viral sensation made it till position 11 on Billboard’s Hot R&B Songs chart. Along with the song “Get You”, Freudian also included singles like “We Find You” and “Blessed” which landed right inside people’s heart. His numbers from the album are incredible with him receiving over 20 million global streams on Apple Music and over 70 million streams on Spotify. 5.President Obama put Caesar’s “Blessed” on his personal playlist. Former President of the United States, Barack Obama reportedly put Caesar’s popular song “Blessed” in his personal playlist of favorite songs of the year for 2017. The playlist also included music from big names like Kendrick Lamar, Harry Styles, Travis Scott, and Camila Cabello as well. Obama is known for his yearly tradition of making such a playlist, had posted it on his official Facebook page on New Year’s Eve. This is a great gesture from the leader, who does it to lift up authors and artist from around the world for their work.